Only the two highest ranks entail admission into knighthood, an honor allowing the recipient to use the title “SIR” (male) or “DAME (female) before their first name. 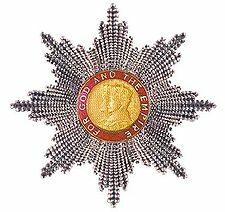 Honorary knighthoods, given to individual who are not nationals of a realm where Queen Elizabeth II is Head of State, permit usage of the honor as a post-nominal but not as a title before their name. These recipients are classified as honorary members of the Order they receive, and do not contribute to the numbers restricted to that Order as full members do. The Order’s motto is “For God and the Empire”. It is the most junior of the British orders of chivalry and has more members than any other. 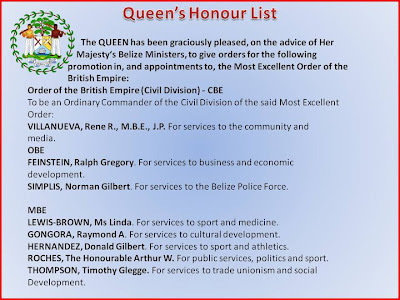 As part of the Queen’s New Year’s honors for 2o11, eight Belizeans have been honored this year. The date for the formal presentation of the awards will be announced later. In Belize. like in most former British colonies, proposals for honors are submitted by the current government usually on the basis of giving recognition to individuals who are in the favor of the political party in office. 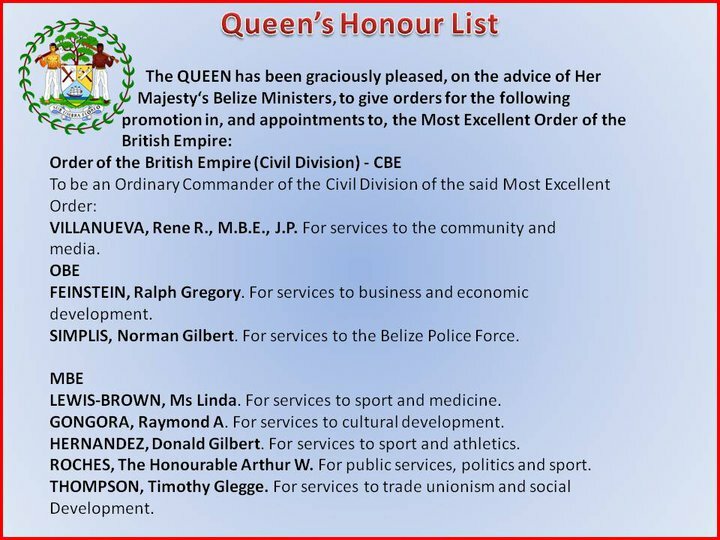 Linda Lewis and Raymond Gongora are two of the eight Belizeans among the 997 people honored by Queen Elizabeth II on the 2011 New Year Honors List, which is released every Dec. 31 and recognizes outstanding achievement and service. 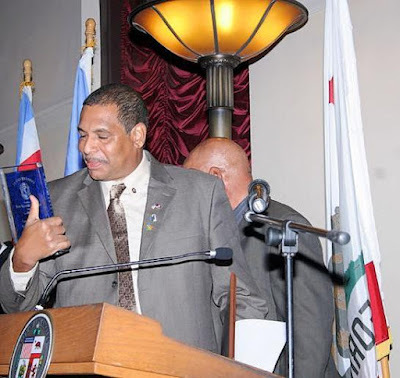 I am trying to access pictures of the other six Belizeans honored. I would appreciate any family members or friends sending in their pictures for display on this blog. My apologies to these great Belizeans for not displaying their pictures. 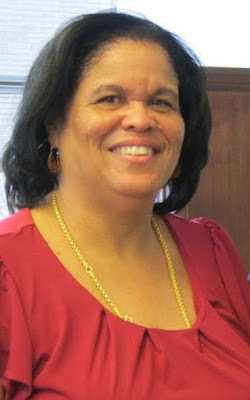 Linda thanks for sharing this information with us. I would like to congratulate all the recipients. 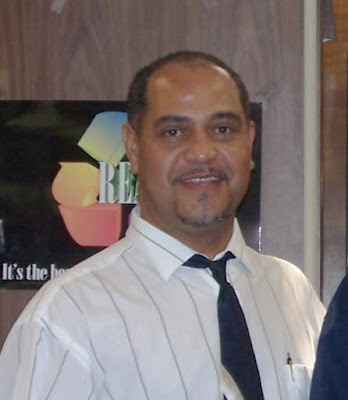 Special congratulations to Mr Ray Gongora. Congratulations to the "CHIEF" Rene Villanueva and all the other Belizeans. Chief, you are deserving of this honour by Her Majesty, Queen Elizabeth II. A job well done Rene!! God bless you and your family and God Bless All Belize! !